Some people have requested that I republish a few of my blog posts! I decided to start with this one!! In 1961, my very talented mother was in Paris on a trip. 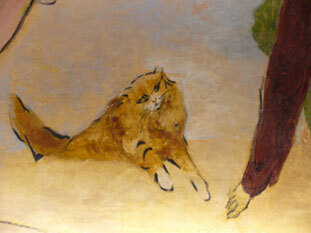 She had admired an artist throughout the 40’s and 50’s. His name was Marcel Vertes; and he was an Hungarian who lived in Paris until the war; and then he lived in New York. He was working in all kinds of mediums. My mother was in advertising; I think that was when she first started following him. He did all the advertisements for Elsa Schiaparelli ; her “Shocking” perfume; even designing the bottle! He also won an Academy award for set design for “Moulin Rouge. She timed her trip to coincide with a show of his oil paintings at the Katia Granoff gallery. In researching for this blog post; look what I discovered!!! 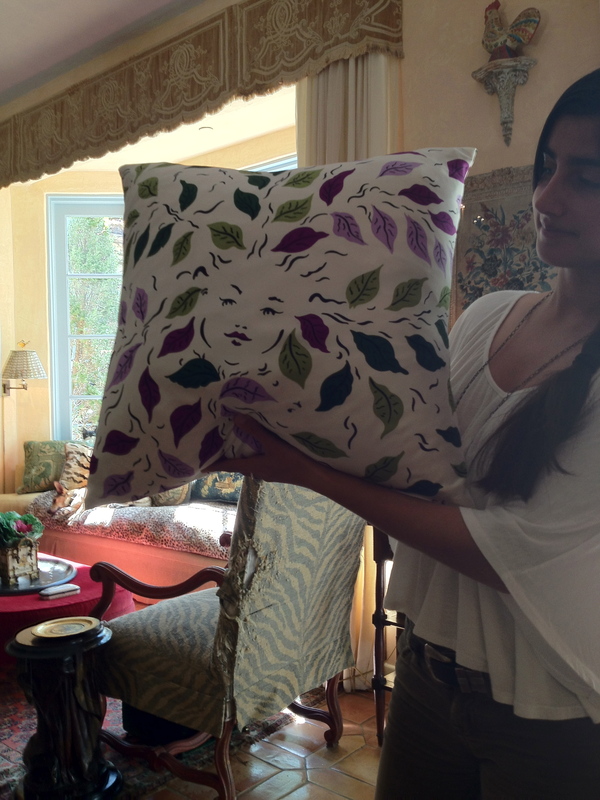 A blog post about Marcel Vertes with my bedroom in it! I had never seen it! Hungarian painter, printmaker and illustrator Marcel Vertes (1895-1961) was full of whimsy, as evidenced in the gorgeous series of ads he concocted for Elsa Schiaparelli’s 1937 scent Shocking Pink. 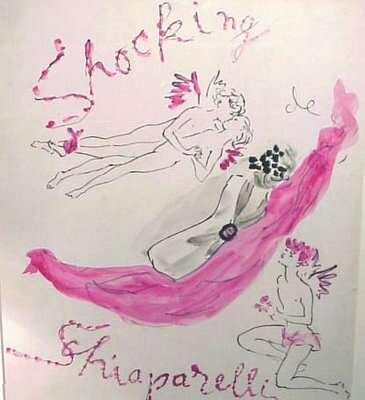 Vertes and Schiaparelli not only worked on this campaign together, they also collaborated on the 1952 film Moulin Rouge, about artist Henri de Toulouse-Lautrec. 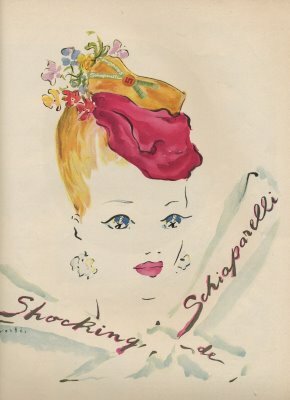 Another ad for Schiaparelli’s Shocking Pink. 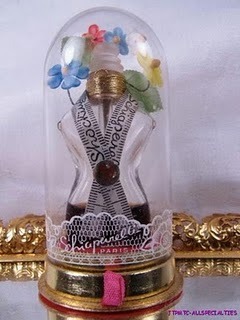 Here is an original bottle of the perfume. The curvy torso was inspired by Schiaparelli’s client, Mae West. 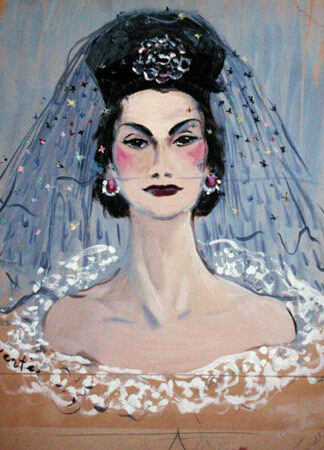 Vertes hits the bottle of pink paint again for this portrait of Coco Chanel. For this buff pink room in designer Penelope Bianchi’s Santa Barbara home, she hung Vertes’ work from floor to ceiling. Photo from House Beautiful. Gorgeous. What a total surprise that was! This was a blog posted in April 2011!! My mother timed her trip to coincide with a show of his oil paintings at the Katia Granoff gallery. He died shortly before the exhibit, in 1961. I was 14 years old. She told me that she loved his art, his whimsy, his colors, and his animals. She also said she loved his women because they reminded her of me!! She bought 5 paintings the first day. My stepfather told her to go back and buy another one; because she had two children! There should be an even number!! This one was the sixth! This was the beginning of a lifelong collection of the work of one artist by my mother, my brother, and by me! This is a beautiful one that was above our living room mantle while I was growing up! We had a fire in 1982, and one of my mother’s Vertes oils was lost. I bought this one from my dear Tony Duquette and Hutton Wilkinson; and after I had purchased it, they told me it had belonged to Elsie de Wolfe. My mother gave me her book, The House in Good Taste; which had inspired me to become a decorator!! This lovely 3 panel screen I bought in Los Angleles; and I was told it belonged to “Gypsy Rose Lee”! I was a bit skeptical; but there it was in a picture in a book written about her by her son! One day in an antique store; my daughter saw this fire screen made of needlepoint; and said…..”Mommy, isn’t that a Vertes??? I had not known he did a collection of needlepoint canvases! I bought this water color in New York when I bought the other one with the girl in the bikini! Look what I found on ebay! I had it made into a chair slip and it sits right under the painting! another ebay find…a signed and numbered lithograph. the collection you saw in the blog in the beginning is a series of lithographs about the circus! Here are some close ups of a few of them. His women always are drawn being loving to animals. A college friend of our daughter’s saw the top one of this pair in a gallery in Berkeley and called me about it! What an eye that Stephen Watkins has!! He was 19! (now he’s 46!) I am still thanking him! The bottom one another ebay bonus! I had a pillow made from this scarf he designed for the Metropolitan Museum of Art. A lithograph of a pole dancer from the “le Cirque” series ! just a delightful whimsical lithograph. 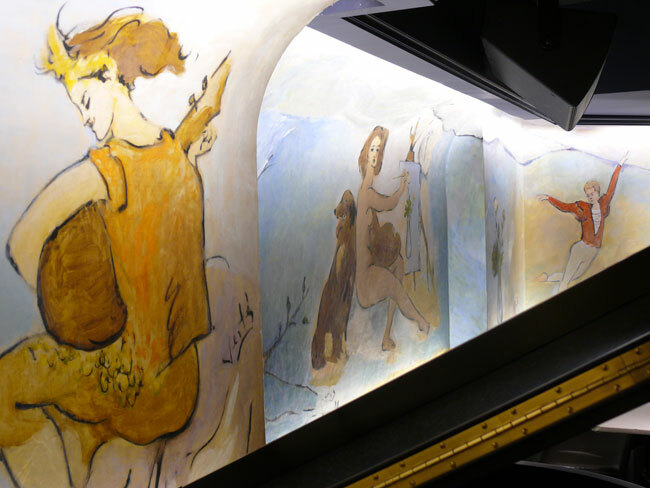 During the war, Marcel Vertes did these gorgeous murals in the “Cafe Carlyle” in the Carlyle Hotel in New York City. It is probably my favorite room in the whole world! Bobby Short sang there for many years; and we went every single time we were in New York! 50 years of smoke and dirt had covered up the lovely colors; and thank the Lord, the manager decided to keep the murals and clean and restore them! Our last time in New York, we heard Elaine Stritch doing her amazing show. He painted this room in return for room and board. He painted “Bemelmans’ Bar! A totally delightful and whimsical set of murals! See the women with the animals??? I adore the dog holding the hat! and the lovely girl with the horse! Treat yourself to a visual feast! Go look at this room when in New York! I couldn’t look at the docent; I would have burst into hysterical laughter! It was painted before I was born……but my mother did always say that his women reminded her of me! I consider that an enormous compliment to me from my beloved mother!! I have been lucky enough to collect 35 of his pieces. 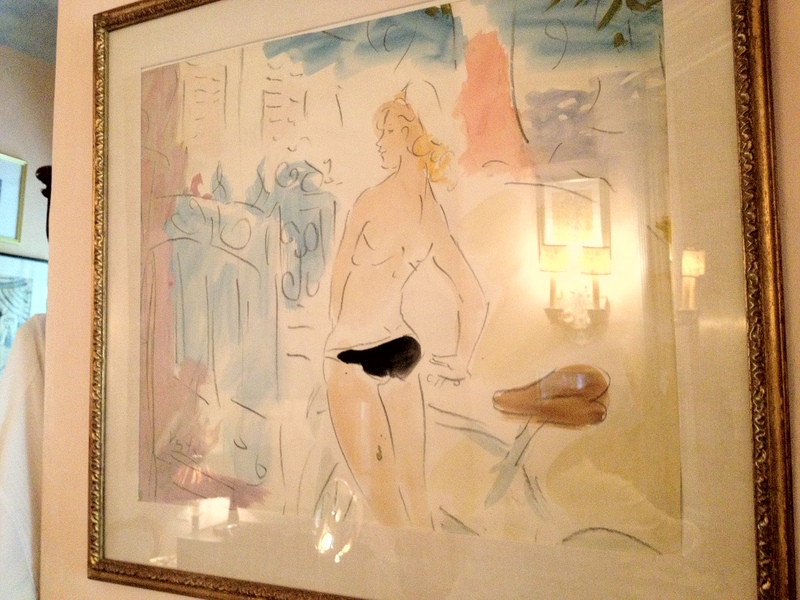 Oils, lithographs, silk screen prints, even two plates hand made in Vallauris when Picasso was working there! I hope you enjoyed this tour of my collection! I feel incredibly lucky to have them!